You are here: Home / Blog / General / Where can You Book an Auto Pre Purchase Inspection in Logan? Where can You Book an Auto Pre Purchase Inspection in Logan? If you are looking for an auto pre purchase inspection in Logan, then you can’t do any better than calling us at Steve Sorensen Mechanical. 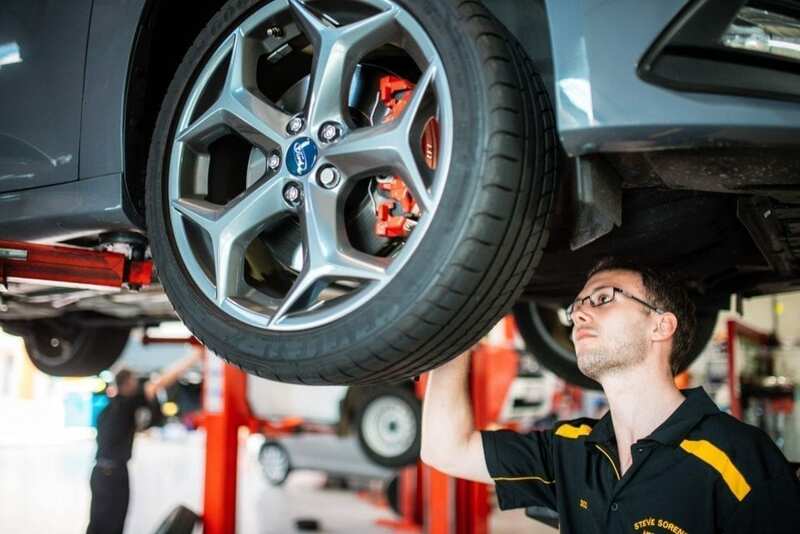 We have more than 30 years’ experience as top class mechanics and we can inspect any type of vehicle before you lay down your hard earned cash. Why do you need an auto pre purchase inspection? Well, the last thing you want to happen is to find the perfect car at the perfect price, but find out pretty quickly that it is a lemon. When you buy a car privately, there is not much to save you if you find out later that it has lots of problems, which will cost you a bucketful of money to fix. This is why an auto pre purchase inspection by a qualified and highly experienced mechanic is the best strategy, because we can spot a lemon a mile away. This could potentially save you a lot of money and will take away all the worry from purchasing your second hand car. What do we look for in an auto pre purchase inspection? We look for anything that is a problem today and could be a problem not far down the road. So we test drive the car to see make sure there are no steering and suspension problems. We also look for issues with the brakes, the transmission and with the indicators and lights as well. We also make sure that the oil is clean and there is no moisture mixed in with the oil, that the radiator isn’t leaking and that everything appears to be in good order. These are just some of the issues on our checklist, so that at the end you will have a clear picture of whether or not the vehicle is really worth the money. Some people think that a Safety Certificate, which is mandatory when you sell a second hand vehicle, is similar to a pre purchase inspection. However this is not so, because it only checks some of the safety features and there can be a lot more wrong with the car than is picked up with a Safety inspection. Call Steve Sorensen Mechanical on 3809 2711 for your next auto pre purchase inspection in Logan. https://stevesorensenmechanical.com.au/wp-content/uploads/Checking-Brakes.jpg 1201 1800 Brendan Sorensen https://stevesorensenmechanical.com.au/wp-content/uploads/SS-Logo-1.jpg Brendan Sorensen2016-08-24 17:19:002017-11-13 16:24:02Where can You Book an Auto Pre Purchase Inspection in Logan?